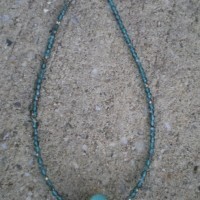 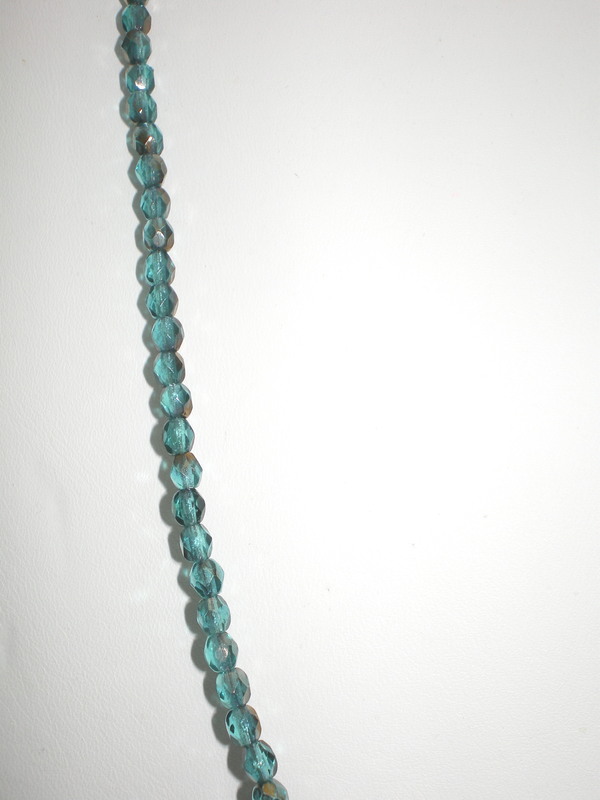 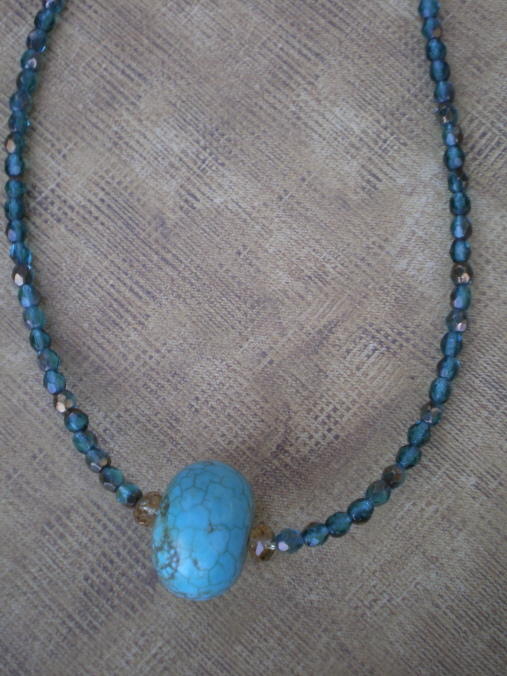 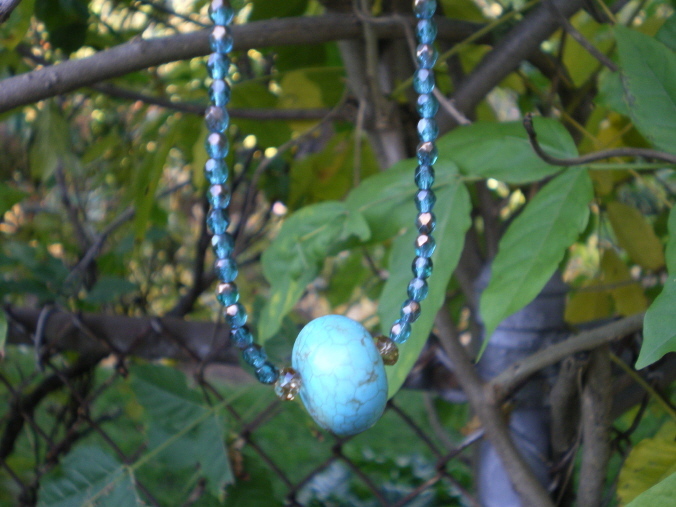 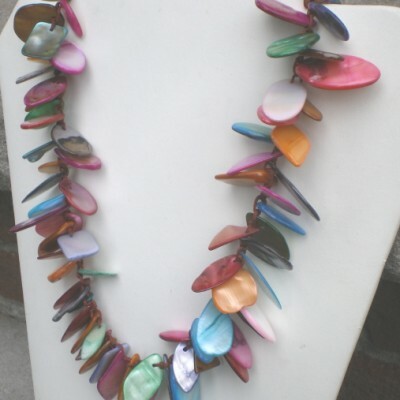 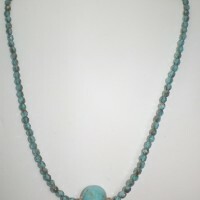 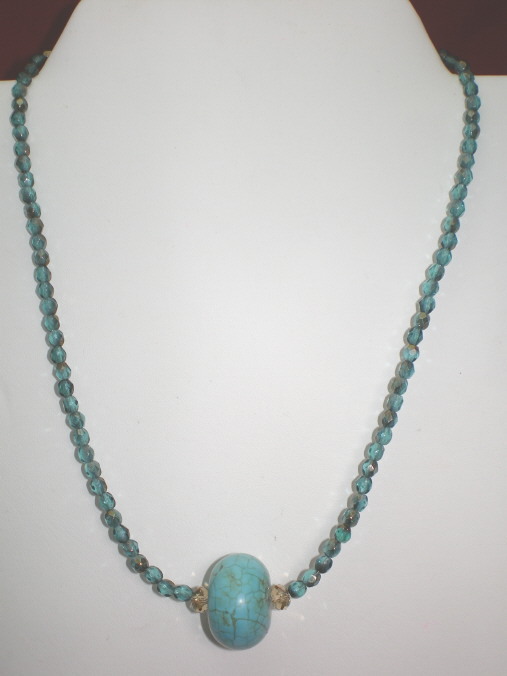 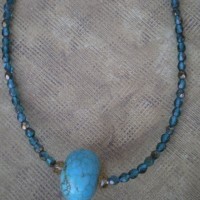 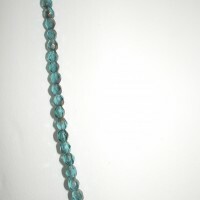 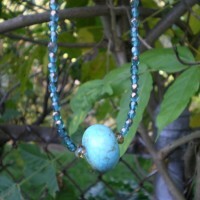 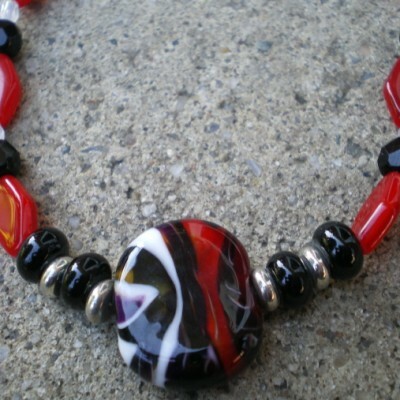 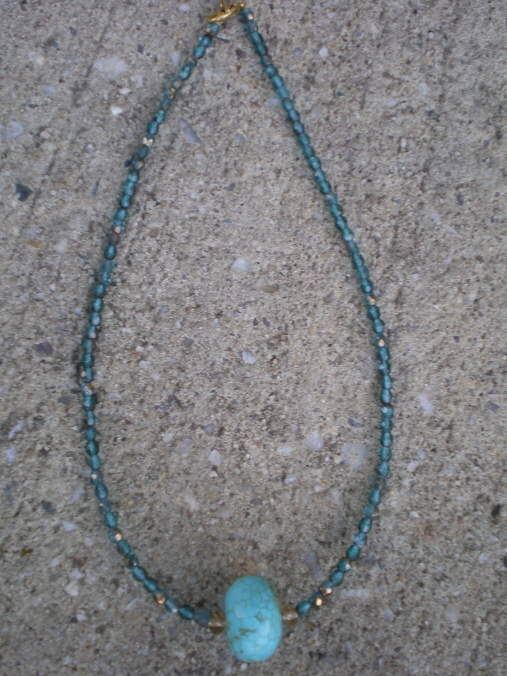 The rest of the necklace made with jewel tone aqua color faceted fire polished beads. 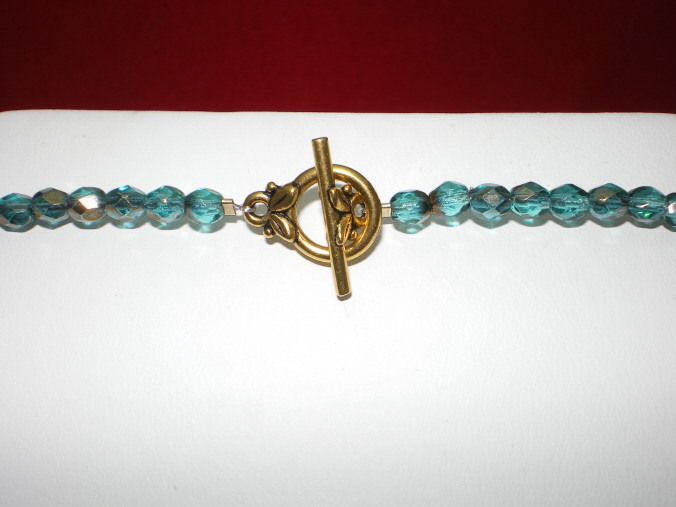 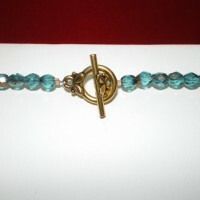 Gold tone toggle clasp. 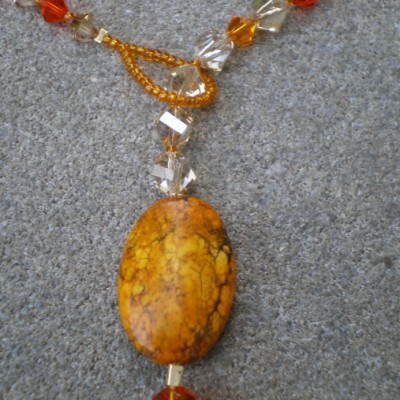 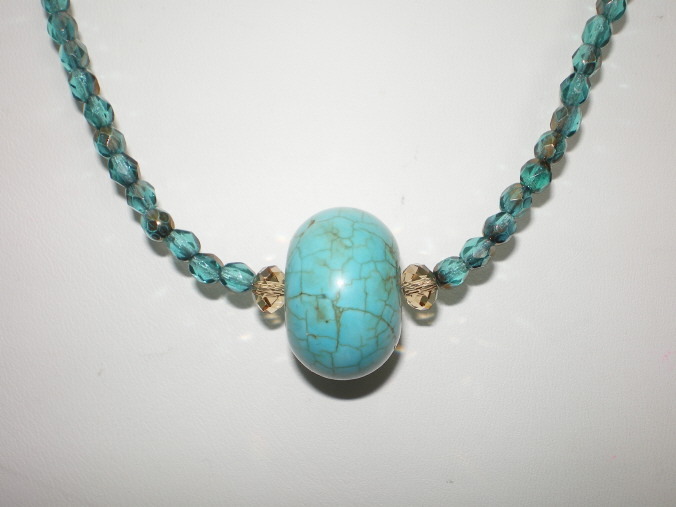 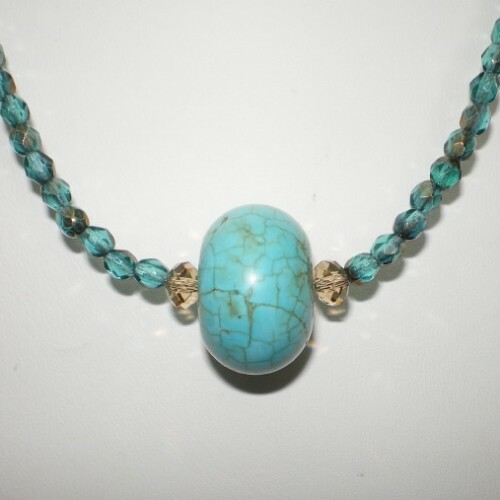 Be the first to review “17 1/2″ Necklace,large turquoise nugget focal bead,two light topaz faceted rondelle beads surrounding the nugget” Click here to cancel reply.